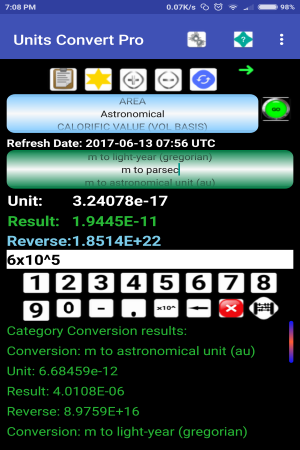 Units Convert: easy to use unit converter app. Suitable for engineering, science, maths, general use for both professional and students etc. 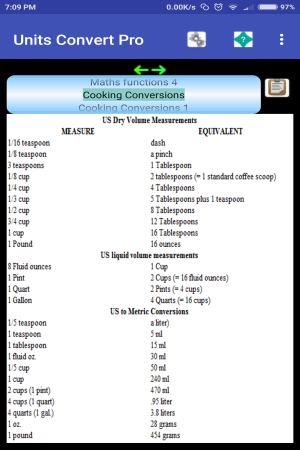 Features various predefined conversions(400+), from 50+ (categories e.g Area, acceleration, cooking, density, radiation, digital storage/ transfer, length, heat flux etc..). Allows for user defined unit conversions to be included and edited. 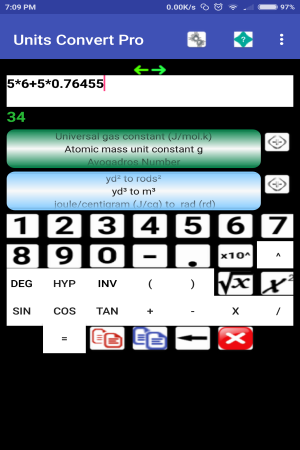 Contains a Sci-Calculator, allows for direct calcs with the unit conversions, constants. 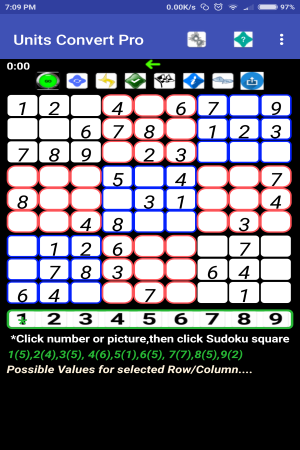 Includes further maths/ unit conversions/ information images/ charts and various Sudoku and Tic-Tac-Toe games.